A historic British-era milestone at the Three Trees junction in Sliema has been defaced with graffiti overnight in what an expert has called a “despicable act of vandalism on cultural heritage”. 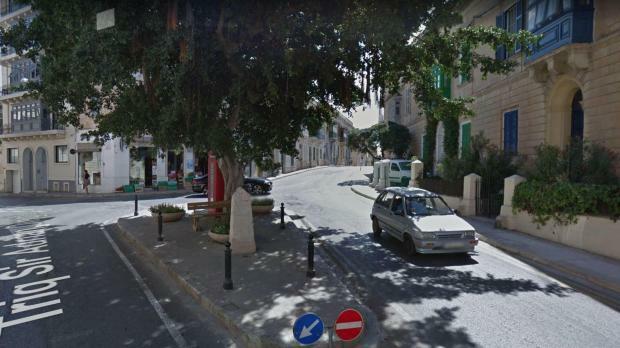 The milestone, formerly part of the Heritage Malta collection, was placed at the prominent junction in 2013 in recognition of a similar structure known to have existed in the town but lost over the years. Heritage architect Edward Said, who discovered the graffiti on Saturday morning, condemned the vandalism, which he said had targeted one of very few remaining milestones of its kind, most having been removed or lost to development. 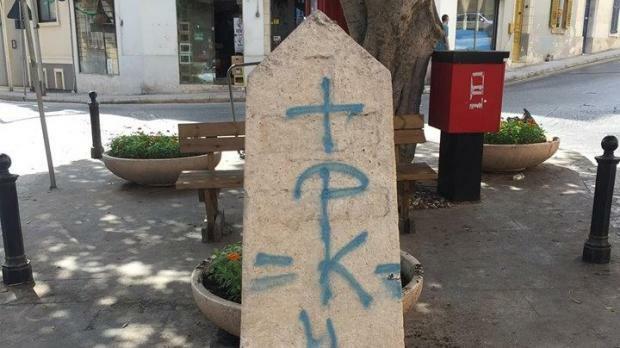 Mr Said told Times of Malta he had contacted Heritage Malta and that he would be personally attempting to remove the graffiti from the milestone before the damage became irreversible. The Sliema council asked any witnesses with information to report to the council or to the police. All information will be treated in confidence. Once a common feature in Maltese urban and rural areas, these milestones, carved from Maltese coralline limestone, served to indicate the distance between their position and Valletta. During World War II, many of them were defaced when enemy invasion was feared. In more recent years, most were removed or lost to development.